After a strong post season in 09/10 highlighted by the arrival of P.K. Subban the 10/11 season began with a lot of hope for a return to the post season and more success. Those hopes were slightly derailed after game seven when star defender Andrei Markov went down with a season ending knee injury for the second straight year! Montreal lost another key defender for the year when Josh Gorges a knee injury as well. The injuries forced GM Pierre Gauthier to get some help and he added James Wisniewski. Wisniewski filled the gap well but left via free agency this summer. 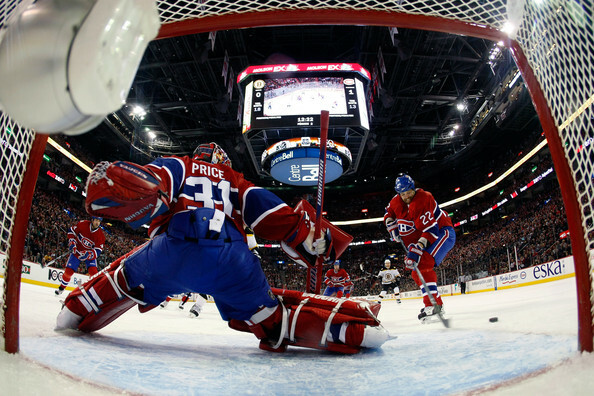 Last season was the coming out party for starting goalie Carey price as he helped carry the team through injuries by posting impressive 38 wins, 2.35 GAA, and .923 save % in 72 games. The Montreal and Boston age old rivalry was a significant focus last season after a game in February that featured 14 goals and tons of fights. Then a few weeks later in the rematch max Paciorety was driven head first into the boards in a violent collision with Boston’s Zdeno Chara. The incident sparked much controversy and even came under legal scrutiny. Then the Habs and Bruins meet in the conference quarter finals and Boston won in game seven. In the summer the Habs said good bye to Wisniewski, and Hamrlik and signed Erik Cole to help bolster the offence. Alexi Yemelin-Little fantasy value, but the big Russian will make his presence felt! Scott Gomez-A pitiful 38 point season wont be good enough to keep a top six role. He may drop further! Andrei Markov-2 seasons lost to knee injuries. Even if he plays a full season he will never be the same. Montreal is a good regular season team. Very good special teams and elite goaltending and excellent team speed make them a strong team. Montreal sorely lacks any physical presence however and in the spring when the stakes are higher and the penalties are few and far between can the Habs stand up to the physical abuse. Unless Gauthier makes some moves and adds some grit and sand paper the key to beating Montreal will continue to be to beat on them! Posted by pharling at 11:06 p.m.